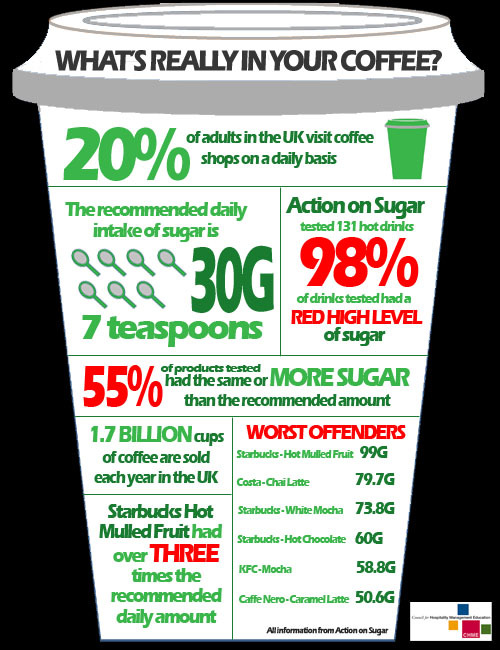 High street coffee shops that serve hot flavoured drinks are exceeding the amount of sugar we should consume. as a can of coca cola. Now that I have your attention I'd like to draw your attention on to some other important facts. 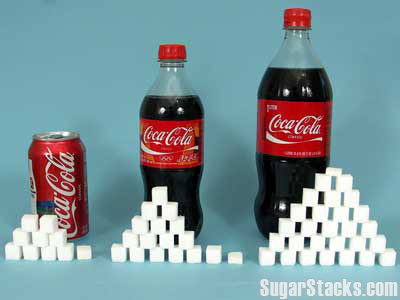 Professor Graham MacGregor, Professor of Cardiovascular Medicine at Queen Mary University of London, said: "This is yet again another example of scandalous amount of sugar added to our food and drinks. No wonder we have the highest rates of obesity in Europe." "Cameron now has all the evidence to make the UK the first country in the world to stop obesity and type 2 diabetes epidemic." How about some coffee with that sugar, could now be a true saying.